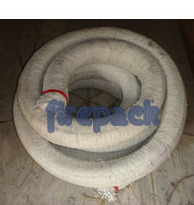 Creating a niche of Asbestos Commercial Products such as Commercial Webbing Tape, White Rope and Fiber Filled Fluff Asbestos Lagging Rope at its best, with utmost quality. 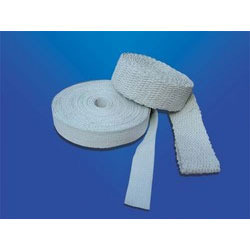 Commercial Webbing Tape manufactured using asbestos yarn Woven around that does not loosen on service. Because of their excellent electrical and heat insulating properties and high tensile strength they open up a new horizon of applications. Asbestos tape are durable and economical, high in water repellent, low in water absorption, resistant to flame, heat, oil, fungus and mold, non-corrosive to cables, non sagging and abrasive resistant. Edges of the tape are selvage so that the threads cannot pullout. Asbestos tape are handy and so can conveniently be carried anywhere at anytime and used right on the spot of work wit minimum of fuss. Commercial Asbestos cloth is a fabric to form pliable mineral textile with high tensile strength and medium low resistance to heat, flame, chemicals and weather. It is made from 100% pure longer spinning fiber of Polyester. 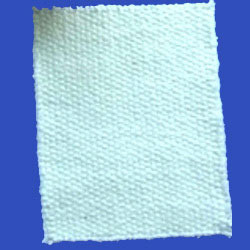 The cloth is used in manufacturing of annealing and fire smoothing blankets, belts for conveying heated objects through oven and in dryers such as blue print machines, covers for rollers on laundry flat-work iron, for laminating cloth in plastic parts covering heat insulation, curtains for dryers, welding booths, shields to protect workmen from fire, all types of safety clothing, electro cells, filter cloths, forge furnace hood mills scale fenders, wrapping for sheet glass and conveyor rollers and many more other products. Our range of asbestos clothes is available in a variety of textures, thickness and weight to suit diversified application. Sizes: 1.5 mm, 3 mm, 5 mm, 6 mm in width upto 84"
At Shree Fire Pack, we manufacture many of various Commercial White Rope, tape,cloth,hand gloves and many other products. Asbestos ropes are widely used in the heavy machinery industry in the processes of heat insulation of pipes and boiler sealing, hot blast valves, blue cap doors. Packaging Details: 8.0 mm to 25 mm 5 or 7.5 kg 32 to 50 mm -10 20 or 25 kg Special packing can be done on requirement.